What Careers are Available in Cognitive Psychology? If you’re one of those people who are fascinated with the workings of the human mind, you should consider the types of careers available in cognitive psychology. 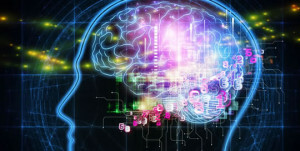 This branch of psychology focuses on areas such as the study of intelligence, the development of language and the ways in which memory works, according to the American Psychological Association. Professionals utilizing cognitive-based psychological concepts investigate the decision-making process, use of judgment, interpretation of reality and methods of learning. The realm in which these professionals is expanding. Let’s take a look at some of the more commonly-seen positions related to cognitive psychology. People with an understanding of cognitive psychology can play very important roles when it comes to organizational development or human resources within a company. These experts are needed to provide guidance regarding matters such as employee motivation, effective management strategies, leadership development, talent acquisition and performance enhancement. Believe it or not, an expertise in cognitive psychology is quite useful in software development. If you were to get a job in this area, it would be your responsibility to ensure test design reliability, test attention and perception in 3D environments, research user interfaces and facilitate web navigation. The ways in which people perceive, interact with and utilize various types of computer software are integral to how successful the products will be on the market. Cognitive psychology allows an understanding of how the mind will react most favorably to various designs. It’s probably no surprise that one of the careers available in cognitive psychology is marketing and advertising. Insights provided through the study of cognitive psychology will provide a real edge to advertisers and marketers, as understanding the mind of the consumer is essential to selling products or services. Companies need professionals to conduct research guided by cognitive psychology in order to determine the best and most effective methods in order to reach potential customers. Targeted advertising and market outreach can then be conducted with that information in mind. Cognitive psychology drives the improvement of instructional methods in order to best reach students at all levels, abilities and preferred styles of learning. Experts in this field of psychology can use their know-how to research new ways of improving skills such as problem-solving, retention and comprehension. Many cognitive psychologists will work with patients who are dealing with any number of disorders or issues. These psychologists will often choose a specialty area of treatment or population with whom to work. Developmental, abnormal, personality or social psychology are examples of specializations. They may focus on problems such as depression, learning difficulties or the effects of trauma. As a cognitive psychologist treating patients, you could work in private practice, health networks, schools, government agencies or rehabilitation centers. Educational requirements will vary, based on the kind of career you intend to pursue; however, you can see that there are a wide variety of options in this field. Careers available in cognitive psychology can be found in so many fields and can be tailored to meet your interests and preferred working environment.